Enjoy the pack of absorbing kids games and have fun in the nice game The Fun Pack: Kids! Are you missing the special training games that boost your mind and make your smarter? Are you sick and tired of bloodthirsty shooters, complicated hidden object games and similar match-3 games? All of them are, of course, interesting but a little bit annoying. And now you get a unique chance to play the bundle of 5 different games of the own genre and gameplay! Launch The Fun Pack: Kids and start playing right now! It’s time to provide a perfect workout for your logic, attention and speed of reaction. You can choose your game from 5 interesting logical and puzzle games. 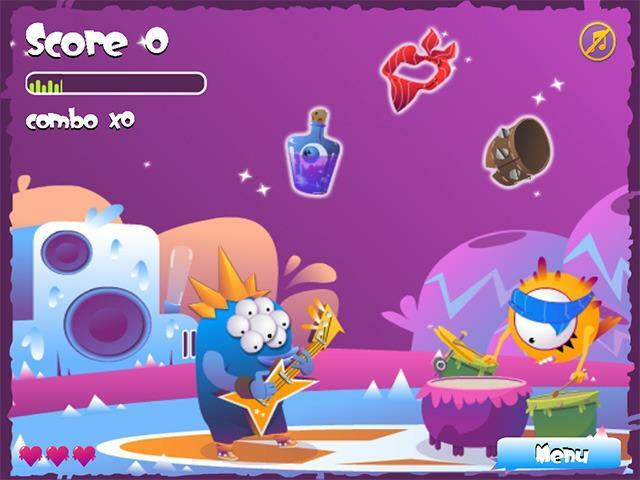 Listen to music and choose the proper order of musical instruments in Memo Rock. Keep in mind that if you are mistaken, you are to replay the level from the very beginning. The same mechanics is in G-Memo, where you have to find 2 alike cards among the great variety of different pictures. Be extremely attentive not to lose and try to set new records while playing. The quicker you match 2 alike cards together, the higher will be your rate in the list of records. You start with a level with several cards but later on there will be a large amount of cards for you to match. Such a nice way to develop your attention, isn’t it? Another game for training your reaction and making it quick, there is a game Smash Zombie. Here you are to be fast enough to destroy zombies appearing in the holes, this game is simple yet entertaining. Boost your attention not to hurt girls that may appear instead of zombies. Otherwise you’ll lose points. As for the game Ice Tower Blocks, you are to build a high tower made of ice tiles. Inside of these tiles you can see penguins, anchors, and other things each of which has its own value of scores. Try not to miss a tile not to lose scores and set high records in the game The Fun Pack: Kids! 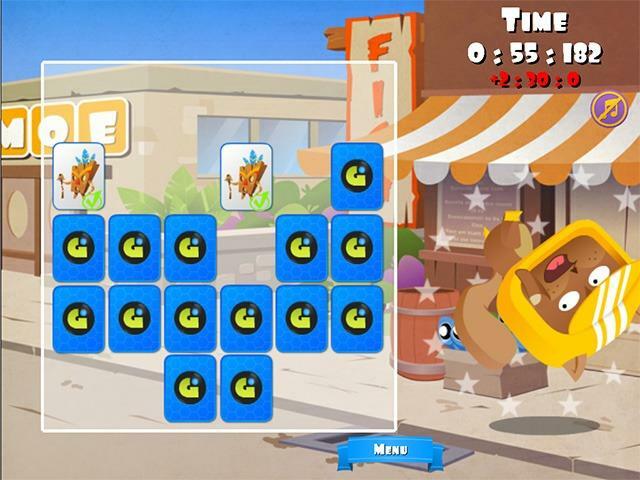 And in the game Hungry Pig you navigate a pig and help it find something to eat to make your pig huge. Get smarter with the developing games in The Fun Pack: Kids!